A sandy cliff collapses, a theology student dies and his father suspects foul play. And so Adam Dalgliesh returns to St Anselm’s, the theological college which he visited as a boy. And so this murder mystery by PD James is cut through with Dalgiesh’s memories. “When secrets are unspoken and unwritten they are lodged safely in the mind, but writing them down seems to let them loose and give them the power to spread like pollen on the air and enter into other minds.” So writes college housekeeper Margaret Munroe in her diary. She found Ronald’s body and was advised by Father Martin, a priest at St Anselm’s, to write about her experience as a way of coming to terms with what happened. Does she know a secret and write it in her diary? Ronald’s death is declared accidental, a second staff member dies naturally. But then there is a third death and Dalgliesh is put in charge of the case. His familiar team of Kate Miskin and Piers Tarrant are accepted uneasily into this closed community which is secretly worried the building houses a murderer, but outwardly tries to behave as normal. Included in the mix of clergy, teachers and students are several guests including a convalescing detective, a researcher and a university lecturer. At the heart of the mystery is the future of St Anselm’s and, if it is to close, who will inherit the building and its riches. The motives are various, the suspects numerous. 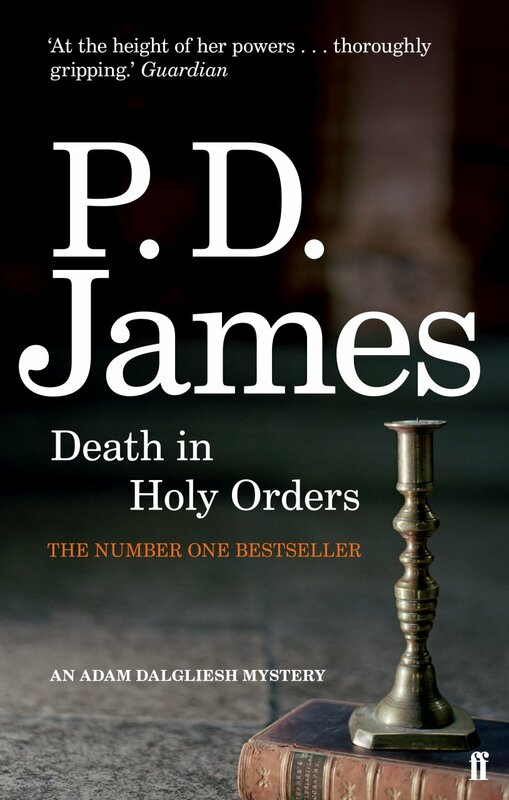 PD James plots with skill to keep us guessing, whilst layering the story with poetry, nature, art, theology and her observations of human nature. Excellent.